The original virtual in-house medical malpractice physician expert review service, MedMal’s hugely popular Doctor OnCALL program provides the clinical insight you need at a price you can easily afford. Doctor OnCALLsm eliminates the high cost of maintaining a dedicated in–house medical expert staff. We consult on all things medical. Doctor OnCALL provides personal injury, nursing home negligence, and medical malpractice attorneys with rapid, virtual in–house access to a fellowship trained, seasoned physician consultant for critical analysis with answers to your quick questions. Do you have questions about a potential case, an existing case, or need clarification about medical expert witness advice you’ve already received? Do you need help drafting case specific rules of the road questions or tweaking a deposition outline? Don’t settle for just an e-mailed curbside consult. The Doctor OnCALLsm program provides cost effective, prompt telephone and e-mail access to a litigation savvy physician for answers to all of your medically related case questions. Eliminate confusion as the medicine becomes clearer. A persuasive litigation strategy can also be discussed and plotted. Doctor OnCALLsm attorney clients are afforded first-in-line priority for phone calls, e-mails, case reviews, help drafting deposition outlines, expert witness referrals, and case specific rules of the road questions. DOC clients enjoy a significant discount on all these services and more. Need a testifying expert witness? Have your doctor get you a persuasive testifying expert. Do you have a nurse on your staff? Now just like in the hospital, they can have a Doctor OnCALLsm to help them help you and your malpractice, nursing home, or personal injury case. Your personal medical expert consult is just a phone call or e-mail away. Does your firm have a Doctor OnCALLsm? Doctor OnCALLsm provides screening consultations exclusively for plaintiff attorneys. 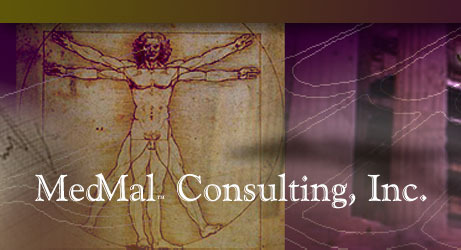 Neither Dr. Herman nor MedMal Consulting engage in the practice of medicine.